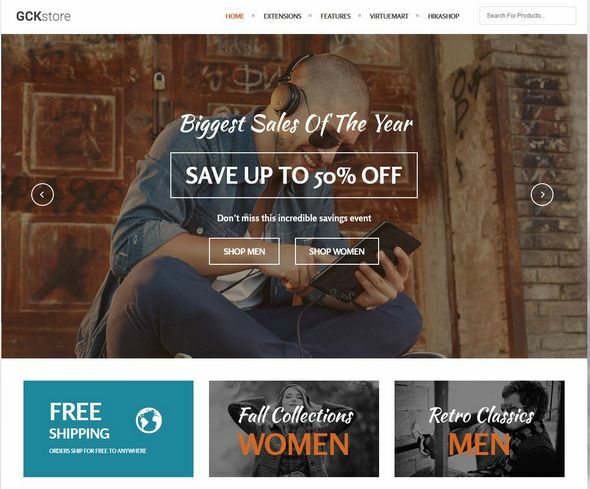 GCK Store is a powerful eCommerece Joomla template developed around the popular components Virtuemart and Hikashop. With the combination of the powerful Vertex framework and the superior features of Virtuemart and Hikashop, you can have any kind of online shop up and running very fast! Both Virtuemart and Hikashop have both been heavily stylized to match the look and feel of this template. The homepage of the template offers many features that allow for a great online shopping experience, such as the S5 Tab Show stylized to showcase featured or random products, The S5 Image and Content Fader to showcase sales and other products, and the custom_1 position which holds the cart module in a convenient location in the header. Be sure to check out the demo to see it all in action!